Give mixed media projects, storage containers, and gifts a fun, industrial look with Art-C Sheet Metal Tags. 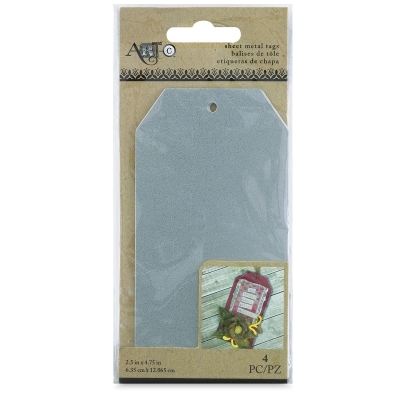 Available in a variety of styles, these gray metal tags are ready for personalization. Paint or distress them, add embellishments, and more. Sold in packs of three.